The first three women to ever complete the Marine Corps' grueling combat training course graduated from infantry school in Camp Geiger, N.C., today. 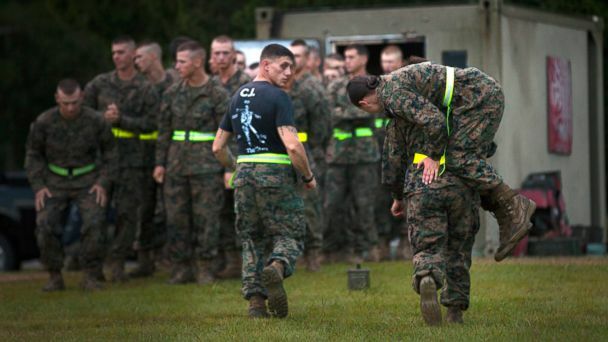 The intensive 9-week training course is the transition from entry-level Marines to combat-ready Marines. It began with 15 women and 266 men. Today, three women and 221 men graduated. The first three women to ever complete the course were identified in a military media report as Pfcs. Julia Carroll, Christina Fuentes Montenegro and Katie Gorz. 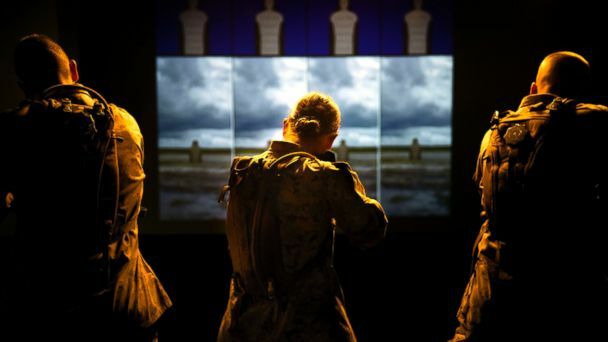 They were part of a 100-person pilot program that is part of the Marine Corps' research into how to integrate women into ground-combat assignments. The three women graduating today will not be assigned to an infantry unit and will continue in non-combat jobs. 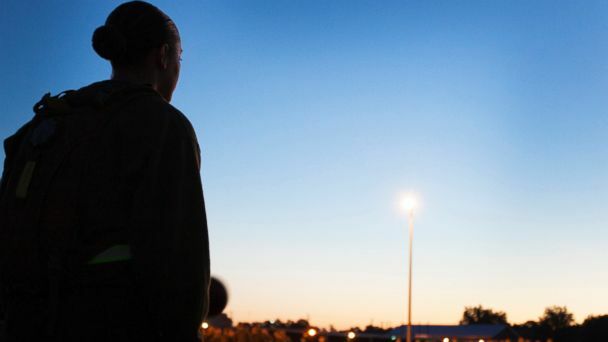 In order to pass Infantry Training Battalion (ITB), which was first opened to women this fall, the women had to complete the same training as the men. This included training in marksmanship, movement under fire, long jumps, grenade throwing and high intensity tactical training. 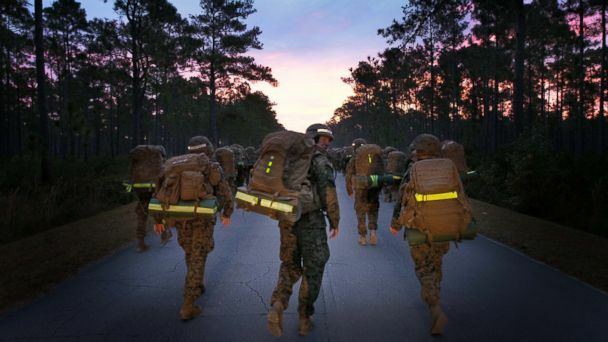 Perhaps the most rigorous portion of the training is a 12-mile hike, limited to five hours, where trainees must carry a roughly 90 lb. pack and maintain a speed of around 3 mph, depending on the point of the hike. 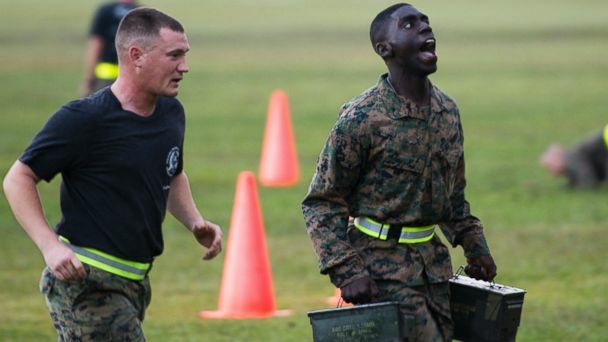 Marine training also includes a physical fitness test and a combat fitness test. 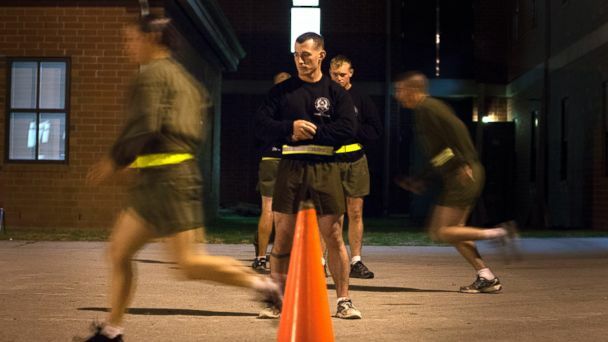 The physical fitness test consists of a timed run, crunches and pull-ups or a flexed-arm hang. 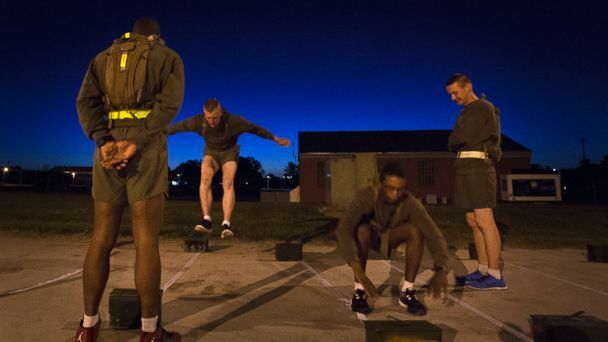 The combat fitness test has three parts: movement to contact, ammunition lift and maneuver under fire. The movement to contact portion is a timed 800-yard course that tests endurance. For the ammunition lift, trainees have to lift a 30-pound ammunition can overhead until their elbows lock as many times as possible. The maximum score for men is 91 lifts and 61 lifts for women. 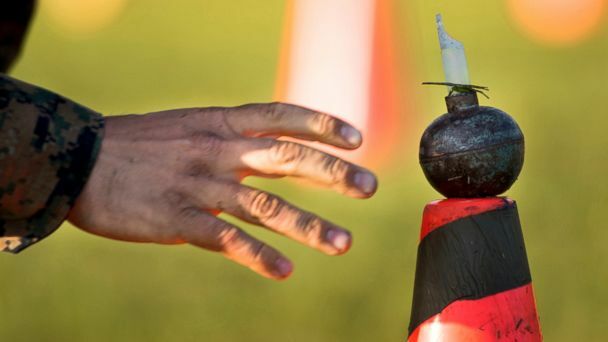 The maneuver under fire portion is a timed shuttle run that includes crawling, carrying, ammunition resupply, grenade throwing and agility running.